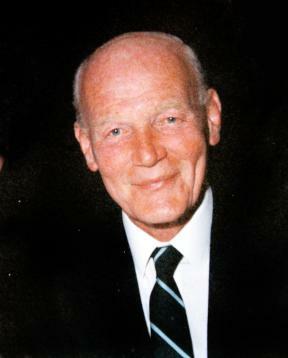 There are one or two prominent teachers from one’s education who are simply so much more than just a teacher – Wally Evans was quite simply a delightful, man who meant alot to me during my time at Ermysted’s and his passing revives some vivid and important memories, instrumental in my development then and indeed later in life. From my very first day at Ermysted’s experiencing the very loud awakening of Wally’s barking commands to new boys (from the steps near to what was then the Advanced Physics Lab) to all new boys, to the day I left (with the promise of a university education in chemical engineering ahead of me), Wally was a central figure. Apart, I think, from one year, he was my physics teacher all the way through school up to sitting A-levels. He brought out the study of the subject so well that it was always a pleasure to be taught by him. There was something about the challenge in the A-level curriculum and being able to get around the subject that is entirely linked to Wally’s enthusiasm and teaching skills. A strict disciplinarian, he inspired respect for all the right reasons and this had great benefits as one progressed through the school. Into the sixth form, when pupils were naturally interested in his subject and had formed their own techniques for studying hard, his humour was able to come out from under that discipline. His army background would appear in cracking one-liners such as about the Egyptian heat in the desert – ‘ 110 in the shade and damn all shade!’ Heating in the Advanced Physics Lab was sometimes a problem, especially in the very cold winter of 1962-3 when I vividly remember him having a very basic electrical heating element on his bench as we all tried to keep warm during lessons. We had a great group of lads in the sixth in those years – we worked hard at Physics but we smiled alot, fostered by his exceptional skill as a teacher and his good nature. I had reason to remember his class lessons later on at university and in my career. One, under ‘properties of matter’ about Reynolds Numbers and streamline flow sticks in my memory. I wondered at the time if I would come across this again – little did I know then how much I would need to understand fluid flow as a chemical engineer! Playing second row in Michael Harrison’s (almost unbeaten) first XV in season 1963-4 was one of the best experiences of my time at Ermysted’s , due in no small way to Wally’s love of the game and his knowledge of forward play to help coach the side – what a season! It was never a problem turning out for extra practice on the Bottom when he was in charge. His smiling, proud face on the official first team photograph that year says it all and he had a big hand in the success of that and other Ermysted’s first teams. I am grateful for all he did for me and am greatly saddened to hear of his passing. Wally Evans was the very best of teachers. He was one of those rare people with a natural gift for explaining the complexities of his subject in a way that young minds can understand and enjoy. He was a kind man and I am very saddened to read of his passing. With best wishes to his family. I can only echo Nick’s comments about ‘Dai’ Evans as he was known to us. Never seemed to raise his voice, never seemed to hand out detentions or pages (I got plenty of both from other teachers and monitors), but he controlled his class completely. I’ll never forget when he was badgering Nev Wallbank for an answer and Nev said ‘If you shut up for a minute and let me think…..’. We waited for the explosion, but nothing came. He accepted it with good humour and the moment passed. The education we received at Ermysted’s was second to none, and set me up for my future. Having avoided any success in sport at school, I even managed to reach the second team in club rugby, a fact which amazed Dai when I met him many years later.